What Is Air Pollution? How Can We Improve Air Quality? Air pollution describes the presence of harmful particulates and gasses found in both indoor air and outdoor air. High levels of these particulates and gasses means low quality air. Air pollution is an increasing threat to our health, brain functioning, and general wellbeing. It is also linked to diabetes and poor heart health. Air pollution is responsible for 7 million deaths around the world every year. Scientists expect that this number will double by 2050 if sufficient action is not taken to improve air quality. How is air pollution caused? There are both natural and manmade air pollutants. Examples of natural air pollutants include sand, dust, pollen, and gas. Man-made air pollutants form a significantly longer list. Let’s take a look at both types. Areas of land with sparse vegetation can produce dust. With strong enough wind conditions, the dust will be pulled into the air and create dust storms. Sand can also be carried into the atmosphere with the right conditions. Just recently in March of 2018, parts of Europe saw the unique phenomenon of orange snow. The orange snow was created when sand dust from the Saharan desert was swept up into the air, only to come down in snow hundreds of miles away. Other causes of natural air pollutants include plants and animals. In warm summer environments, some plants emit significant amounts of VOCs. A VOC is a volatile organic compound. This means that it is a carbon-containing compound (organic) that easily becomes airborne (volatile). Such VOC producing plants include oak, willow, poplar, and black gum trees. Once in the air, the VOCs will react with manmade pollutants and create a hazy cloud of secondary pollutants. As for animals, methane gas is created in the bellies of many animals during digestion and released into the atmosphere by way of farts and burps. Cows are somewhat infamous for this. It’s not their fault. The Earth itself also pollutes the air. Radon is a gas created from radioactive decay occurring in the Earth’s crust. Radioactive decay is a process that happens when a material has an unstable atomic nucleus (the center of the atom does not have enough energy to remain bound together). When an atom’s center is unstable, it releases particles in an attempt to stabilize. These energized particles that are released are known as radiation. Though the production of radon is a natural and commonly occurring process, it is a recognized air pollutant. Radon affects the quality of indoor air and has also been found in groundwater. It has an immediate link to higher incidence of lung cancer. Volcanoes also produce air pollution in the form of sulfur and chlorine gas (SO2 & CO2), as well as ash particulates. Sulfur dioxide released from volcanos can even form acid rain downwind of the eruption. The list of man-made air pollution sources is a bit lengthier. A significant portion of man-made air pollution is caused by burning fuel. This includes transportation such as planes, trains, automobiles, and boats used for moving people and goods. It also includes power stations that burn fossil fuel to generate electricity as well as developing countries that burn biomass such as wood, dung, and compost to generate heat and power. Fumes from solvents, aerosol sprays, paint and paint thinners, cleaning products, and personal products are another significant source of human-made air pollution. Chemicals used for pesticides, fertilizers, and processing of agricultural crops are also a significant source of air pollution. Landfills and human generated waste are another source of manmade air pollution. Decaying waste produces methane, the highly flammable gas produced by some animals. 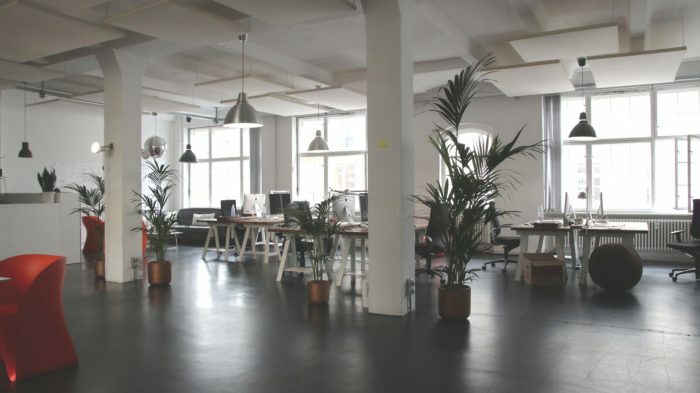 Indoor air pollution is the existence of harmful compounds and particles in the air inside a building such as an office, home, or even your car. Considering we spend about 90% of our time indoors, indoor air quality should be a top priority. Counterintuitively, indoor air pollution levels can be higher than outdoor air pollution due to lack of circulation. Sources of indoor air pollution include cleaning products, carpeting, building materials, furniture, fire proofing, mold and mildew, cooking byproducts, your dry cleaned clothing, pesticides, solvents, smoking, dander, dust, and more. Some indoor air pollution is naturally caused. We mentioned radon earlier, the gas created from radioactive decay occurring within the earth’s crust. Radon can leak into buildings from the soil. It is a low density gas and as such will sink. Because of this property, radon can be found in cellars, basements, crawl spaces, and other enclosed areas that do not have sufficient air circulation. Exposure to radon is the second leading cause of lung cancer, cigarette smoking being the first. How is Indoor Air Quality (IAQ) measured? Measuring indoor air quality tests for the presence of particulates, gasses, allergens, and bacteria. Smaller particulates (those that measure PM2.5) are of higher concern, as they are small enough to be inhaled deep into our lungs. Another indoor pollutant of high concern are gasses called VOCs, which are emit from solids and gasses. VOCs are volatile organic compounds – or carbon containing compounds that easily vaporize. The concentration of VOCs can be ten times higher in indoor air than outdoor air. The term VOC includes a number of different gasses, and common sources include paint, office supplies – from markers to printers, cleaning supplies, personal products, furniture, carpeting, and building supplies. If your tap water is chlorinated and you boil a kettle for coffee or tea, your water will even emit VOCs – small amounts of chloroform will be created. Dry cleaned clothing is another source of VOCs. Clothing from the dry cleaners will emit airborne toxins for days after you bring it home. In addition to particulates and VOC levels, special attention is paid to one VOC in particular: formaldehyde. Formaldehyde is a colorless gas that has a strong smell and a strong affect on our health. This airborne toxin can cause irritation of mucous membranes and eyes, headaches, difficulty breathing, and a burning sensation in the throat. It is a known carcinogen. Formaldehyde is also associated with the development of childhood asthma. Most common indoor sources of formaldehyde are glues and resins used in composite wood furniture, such as that used in cabinets and paneling, furniture, carpeting, drapes, and yes, even your bed. How can we solve air pollution? Air pollution is a worldwide problem that must be solved on multiple levels of engagement including efforts from individuals as well as governments and corporations. The first step, is understanding the problem. That’s what Better Earth is here to help you do. The air quality indexes are standards used by government agencies to consistently measure the levels of pollution in the air. Air quality indexes can vary by country. The most common and significant pollutants measured across the globe are levels of particulate matter, VOCs, O3 (ozone), CO (carbon monoxide), SO2 (sulfur dioxide), and NO2 (nitrogen dioxide). Particulate matter (PM) pollution in the air is a mixture of extremely small solid and liquid particles. These particulates can have significant health effects when inhaled, as they affect the lungs and heart. The particulates are measured on a scale using micrometers. Particulate matter that measures 10 micrometers in diameter or less is small enough to be inhaled into a person’s lungs. Some matter is even small enough to enter a person’s circulatory system from the lungs. For these reasons, particular matter that is 2.5 micrometers to 10 micrometers in diameter (PM10) and that which is less than 2.5 micrometers in diameter (PM2.5) is of particular concern. To put these numbers in perspective, a human hair is usually 50-70 micrometers in diameter. That’s 5-7 times as wide as the particles in the air. TVOC pollution levels refer to the Total Volatile Organic Compound count present in the air. As we covered earlier, volatile organic compounds are carbon containing compounds that easily become vapor in the air. Common household VOCs include acetone (like that in nail polish remover, wallpaper, and furniture polish), benzene (found in carpets, paints, and glues), butanal (found in cigarette smoke, burning candles, and emissions from barbecues), formaldehyde, ethanol, terpenes, carbon disulfide, and dichlorobenzene. These VOCs typically are not immediately toxic, but rather have long-term effects when they compound in our systems. Ozone levels describe the amount of ozone (O3 or trioxygen) in the atmosphere. Depending on its location in the atmosphere, ozone can be beneficial or detrimental to living organisms. Ozone is a blue-tinted and pungent toxic gas. It has a sharp smell similar to the smell of chlorine. This gas is a powerful oxidizer. As an oxidizer, ozone pulls electrons from substances and changes the chemical composition of that substance. For example, rust is the result of certain oxidized metals. This property of oxidation also makes ozone a powerful opponent to bacteria and viruses. If ozone comes in contact with the cell wall of bacteria or viruses, a reaction called an oxidative burst occurs. This makes a small hole in the cell wall. This hole compromises the structural integrity of the cell, and causes the cell to die. At first glance, this bacteria- and virus-fighting ability might seem like a good thing. But some bacteria and viruses are essential to life in Earth. So how is ozone both beneficial and hazardous? Ozone is found in a high concentration in a layer of our stratosphere known as the ‘ozone layer’. Ozone in this layer of the stratosphere successfully protects harmful UV light from reaching us here at ground level. But since the gas is a powerful oxidant, as we discussed earlier, it is damaging to respiratory tissue and mucous membranes of animals as well as plant tissue. As you can see, near ground level ozone is a hazardous pollutant, but up in the stratosphere ozone is a beneficial gas. Carbon monoxide (CO) is a toxic gas that is colorless, odorless, and tasteless. It is a product of incomplete combustion. The most notable sources of carbon monoxide include vehicle emissions and burning of carbon-containing fuels such as natural gas, gasoline, coal, oil, and wood. Sulfur dioxide is a clear gas, undetectable to the naked human eye. You won’t see sulfur dioxide, but you will smell it. Sulfur dioxide has a sharp and unfavorable smell. This gas is also prone to reacting with other elements in the atmosphere to create harmful substances such as sulfurous acid, sulfuric acid, and sulfate particles. Human sources produce a whopping 99% of sulfur dioxide in the atmosphere. Most of the sulfur dioxide produced by humans is a byproduct created from industrial processes. One of these such processes is creating electricity from sulfur-containing fossil fuels such as coal, oil, or gas. Other processes include the refinement of mineral ore and simply burning fossil fuels. Thus, vehicle emissions are another source of sulfur dioxide. 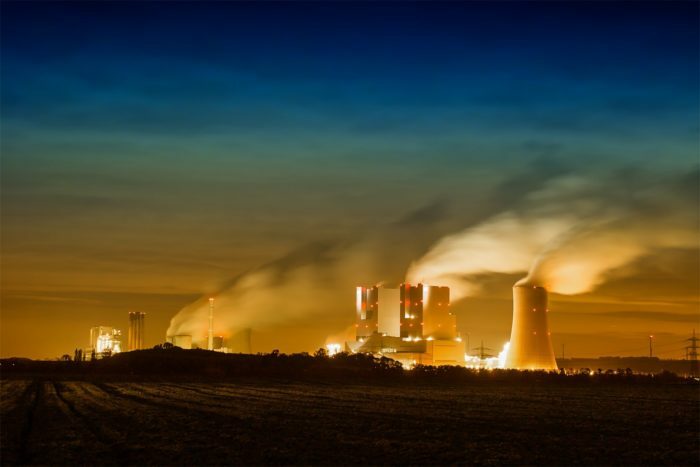 What does sulfur dioxide to do our health? If breathed in, sulfur dioxide effects our health negatively. The person will feel the effects of the gas quickly. Sulfur dioxide irritates the respiratory system: nose, throat, and airways. It causes wheezing, coughing, shortness or breath, and a tight chest. Those with conditions such as asthma may be more susceptible to effects. Nitrogen dioxide (NO2) is another stinker. This strong smelling gas is another problematic byproduct of burning fossil fuels. Natural sources of nitrogen dioxide include lightning, plants, soil, and water. However, that naturally create nitrogen dioxide only accounts for 1% of the total nitrogen dioxide in the atmosphere. So where did the other 99% come from? Us. 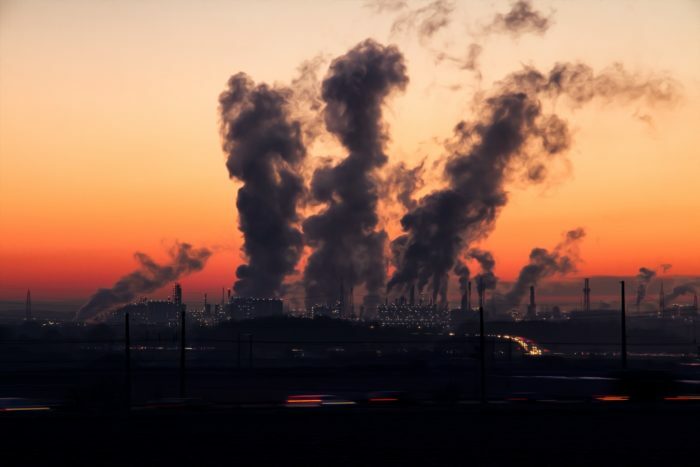 Human sources of nitrogen dioxide are: burning fossil fuels (coal, oil, and gas), vehicle exhaust, refining metal and petroleum, and generating electricity from coal. This gas also has a negative impact on the human respiratory system. When breathed in, nitrogen dioxide inflames the lining of the lungs, reducing the lungs’ immunity to infections. It can also cause wheezing, coughing, flus, bronchitis, and colds.